MC Outerwrap™ is a specialized blend of quick curing resins impregnated into a fiberglass fabric. It provides soil stress and backfill protection to coatings that need additional mechanical strength. MC Outerwrap is specifically designed as a “hard shell” outerwrap over the Wax-Tapes. It can also be used over other coatings. It is sold complete with gloves and Trenton End Adhesive. MC Outerwrap is hand applied, with no other application materials needed. 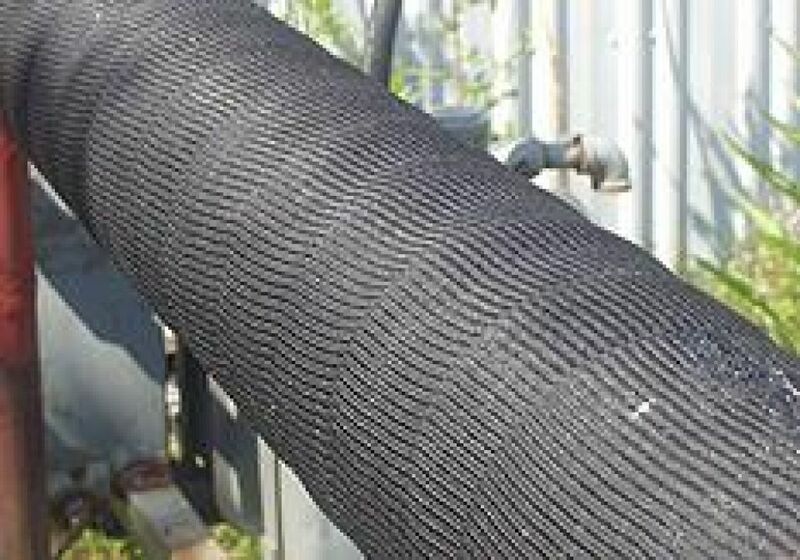 MC Outerwrap is used aboveground or belowground as a mechanical protective wrapper over Trenton’s Wax-Tapes. Pre-apply any of Trenton’s coatings and then, with only enough tension to keep the slack out, spiral wrap MC Outerwrap with at least a 50% overlap (use 80% overlap when needed in high stress areas such as transition pipe in clay soils). Make sure MC Outerwrap is extended out past the new coating on both ends for better anchoring. At the end of the last roll, brush on End Adhesive for MC Outerwrap to prevent possible unraveling before the wrap has cured. Rolls are individually vacuum-packed in foil bags. NOTE: Alternative sizes may be available at an additional cost.